Launched in 2004, Tolo TV offers innovative content loved by Afghan audiences. 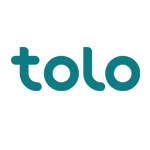 Pioneering news and entertainment, Tolo has raised the bar for quality content. The award-winning and market-leading channel’s shows include the country’s first drama series “The Secrets of this House”, musical talent show “Afghan Star” and ground-breaking current affairs shows. Tolo TV’s action series “Eagle Four” and drama series “The Secrets of this house” were awarded at the Seoul International Drama Awards in 2011 and 2008 respectively. The channel also received the Reporters without Borders (RSF) Press Freedom Award in 2005 for its current affairs news show “The 630 Report”. Tolo TV broadcasts in Dari and Pashto on terrestrial transmission in Afghanistan and on satellite across the region.